The 2018 NBA All-Star team squads have been selected. In an attempt to update and make this year’s All-Star game more interesting, the 2018 All-Star rosters were drafted instead of the usual set up between Eastern and Western teams. Team captains LeBron James of the Cleveland Cavaliers and Steph Curry of the Golden State Warriors each took turns selecting players from the assembled roster of players. The roster was compiled of fan votes, NBA coach votes, and player votes from around the league. LeBron James selected first, however, the NBA decided to not televise James’ and Curry’s draft. Both men said in an interview after the draft that not televising it was a mistake. “We were cracking up” said James. “It was a lot of fun” added Curry. LeBron James is obviously in it to win it as he selected Golden State Warriors superstar Kevin Durant, a perennial enemy on the court, as well as Kyrie Irving, who requested a trade from the Cavalier’s last year. 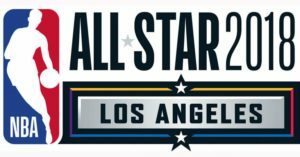 The NBA All-Star Weekend is February 16-18 at the Staples Center in Los Angeles.